Emily Legenza, a 2016 Wauseon High School graduate and Ohio University music major, has been crowned 2019 Miss Northwestern Ohio. Emily competed for the title among six women at the Defiance Community Auditorium. She was also awarded a monetary scholarship and won the talent portion of the competition. She will now compete for Miss Ohio at the Renaissance Theater in Mansfield, Ohio, in June. The Miss Northwestern Ohio pageant is part of the Miss America organization. 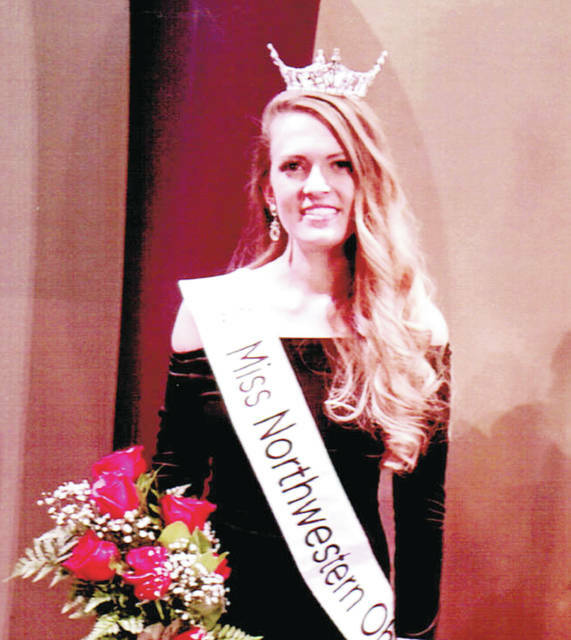 https://www.fcnews.org/wp-content/uploads/sites/45/2018/11/web1_miss-northwestern-ohio.jpgEmily Legenza, a 2016 Wauseon High School graduate and Ohio University music major, has been crowned 2019 Miss Northwestern Ohio. Emily competed for the title among six women at the Defiance Community Auditorium. She was also awarded a monetary scholarship and won the talent portion of the competition. She will now compete for Miss Ohio at the Renaissance Theater in Mansfield, Ohio, in June. The Miss Northwestern Ohio pageant is part of the Miss America organization.